A food-drinks game. Great for playing a memo game (cut them along the lines) Can also be used as handy flashcards. 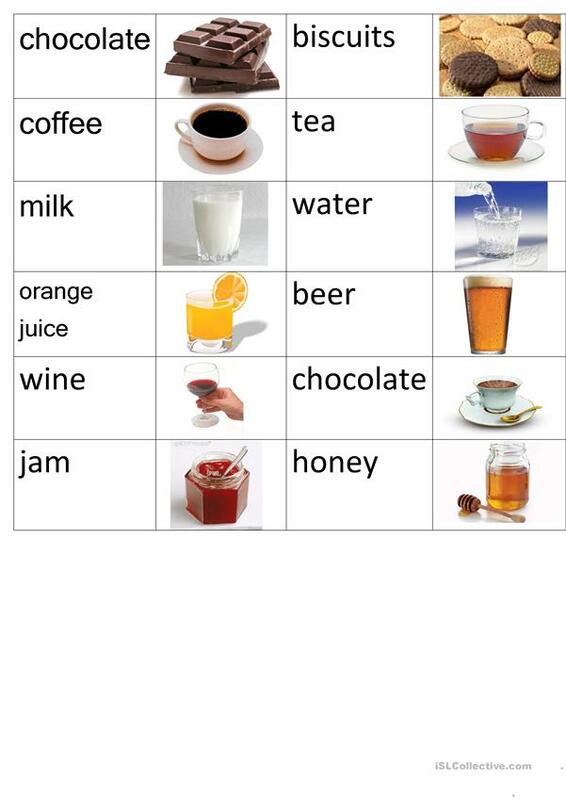 Can help practise spelling and pronunciation. This printable, downloadable handout is a great resource for business/professional students, elementary school students, kindergartners and nursery school students and adults at Beginner (pre-A1) and Elementary (A1) level. It is a useful material for teaching Nouns in English, and is useful for developing your groups' Listening, Spelling, Speaking and Reading skills. 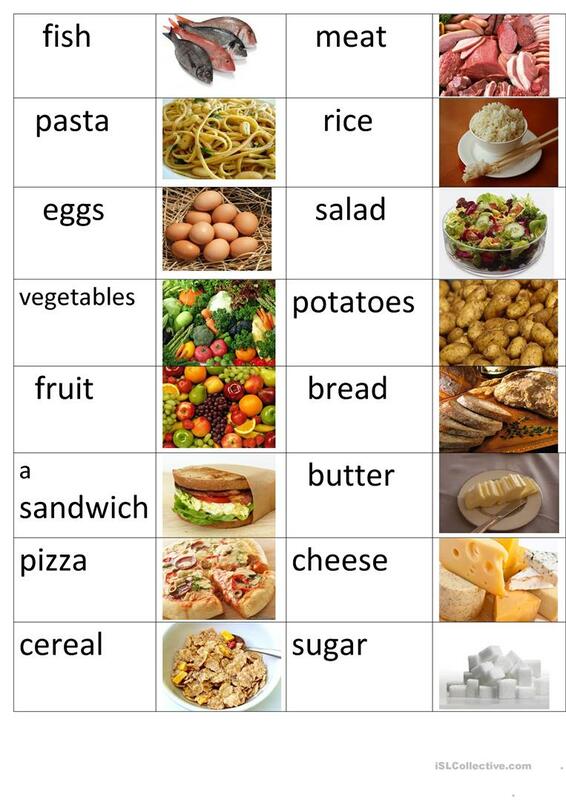 It centers around the vocabulary topic of Food.